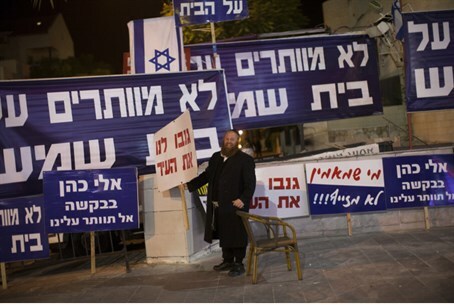 Supreme Court rejects appeals, rules Beit Shemesh must hold second round of elections. The city of Beit Shemesh is on its way to a second round of elections. The Supreme Court ruled Thursday to uphold a lower court’s decision in favor of reelections, due to allegations of fraud during the municipal elections in the city in 2013. Interior Minister Gidon Saar now has 30 days to declare a date for the new elections. Mayoral incumbent Moshe Abutbul, who won the 2013 vote, had appealed against the court order to hold new elections. Abutbul argued that the 2013 elections represented the democratic choice made by Beit Shemesh residents. The elections were ordered by a lower court after allegations of fraud in the election last October. Abutbul and his supporters say the alleged cases of fraud would not have been enough to change the outcome of the vote. The legal system has disagreed: Attorney General Yehuda Weinstein is among those who argued that there was “reasonable cause to suspect” that the elections had been tainted, and a Jerusalem court agreed. Abutbul’s chief rival, Eli Cohen, was active in pushing for reelections. “We are here to demand respect for democracy… Our responsibility to those who voted for us requires us to act,” he has previously said, explaining his decision to appeal the elections. Cohen and Abutbul are expected to be the two chief contenders in the new elections as well.